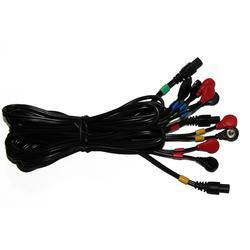 Take advantage of the new easy-snap electrodes with these conversion cables. It allows you to use the new easy-snap electrodes with the Compex Sport and Compex Fitness Trainer that originally used the pin electrodes. Enjoy the increased ease of use with the new easy-snap electrodes! Comes as a set of four cables.